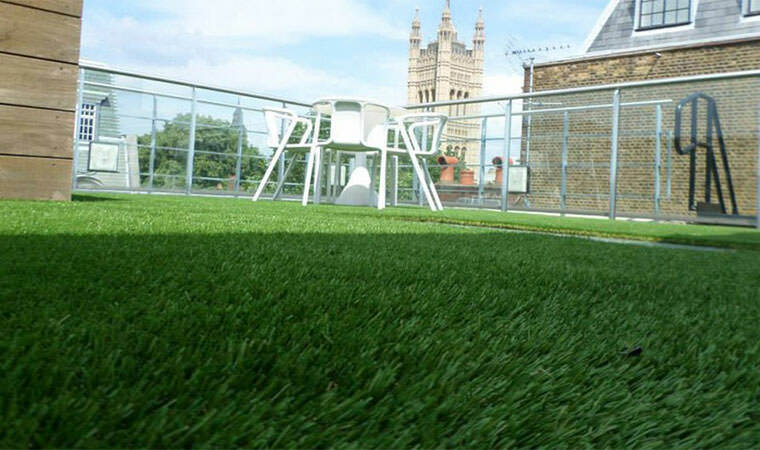 Artificial grass is great for people in London who lead a dynamic city lifestyle. It is also great if you want all the benefits of a luscious lawn in a place that is inhospitable for natural grass. Our product range is ideal for many London properties because it can be placed where grass just won’t grow such as balconies and terraces. Take a look at this project in Parson Green where we transformed the outside balcony. Take note that we didn’t cover every square inch of the balcony with grass. Instead we selected certain areas to enhance and brighten. Another favourite of mine was this roof garden that overlooked Westminster which really benefited from having our artificial grass. Another common situation in London is to have a shady garden because of its location. It is either surrounded by tall buildings or overhanging trees. This makes it next to impossible for ‘real grass’ to grow but fake grass isn’t affected in the slightest. Artificial grass is low maintenance making it a great choice for town gardens and communal city gardens where budgets are limited. We have found that many City folk love it for it brings a touch of nature to otherwise urban surroundings. Businesses and commercial ventures can benefit from using artificial grass to add a calming effect to staff areas! See what we were able to achieve in the staff canteen area at Selfridges on Oxford Street or at the Q restaurant at the same department store. So whether you attach the grass to your walls, floors or ceilings it will definitely lift the mood of employees and customers and brighten up the dullest of areas. It is fashionable in London to have artificial grass fitted for an exhibition or an event. It provides a flexible and durable option to companies looking to stand out from the crowd. What’s more when the exhibition or event has finished it can be rolled up and used on another occasion. 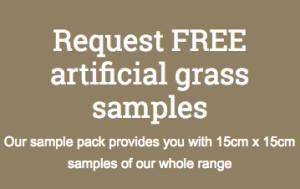 We supply and install our entire artificial grass product range to all Boroughs and Districts throughout Greater London.